Fiorentina VIP’s Receive Special Offers. Sign up and choose your deal below! Fiorentina Grill’s Catering is the perfect way to enjoy your favorite dishes in large party portions. 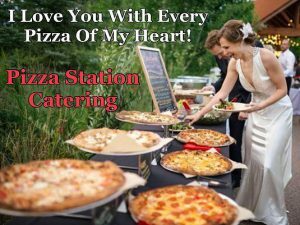 We Cater to big & small, formal & casual, business & fun! What types of events does Fiorentina Grill cater to? Yes, you can bring your own bottle. Yes, we do off premise catering & we deliver it as well. From large banquets to corporate luncheons, Fiorentina Grill has the catering expertise to make any event an unforgettable experience. Our food will leave a lasting impression on all your guests turning an ordinary party into an spectacular delicious event. With a delicious menu and service options, our helpful catering specialists and unbeatable dishes, we can accommodate any occasion. How early or how late can I place my order? We are open Monday-Thursday 10:00am-9:30pm, Friday & Saturday10:00am-10:00pm & Sunday Closed. However, you can contact us after hours at fiorentinagrill@gmail.com An event planning catering specialist will get back to you typically less than 24 hours either via email or phone. Depending on how large the catering order is, the sooner the better. For larger parties we recommend 7-10 days. If you are ordering for Corporate a few days in advance should be fine. If you’re planning a last minute dinner or party please don’t hesitate to call or email to speak to one of our event planning catering specialists. Do you accommodate individuals with to allergies? Yes, we will accommodate all allergies or special diets including vegetarian, gluten free, vegan etc. Do I have to pick it up or can I get delivery? Catering can be picked up or delivered. I work at a Corporation Office can we get food delivered? If so, can we order off the regular menu? a few co-workers wanted to order for lunch. Even though we are closed we can do Catering on Sundays. There is a $5.00 delivery fee.